Defibrillator Training for Trainers project.Defibrillators save lives and many communities throughout county Monaghan have invested in both equipment and training in its use. Those who use the equipment need regular re-training to keep their skills updated. This re-training places a huge burden on their financial resources. The Defibrillator Training for Trainers projectensures that selected members within local communities have the necessary skills to train their peers in the use of defibrillator equipment at no cost. In the long term, this is a huge saving for the local community. 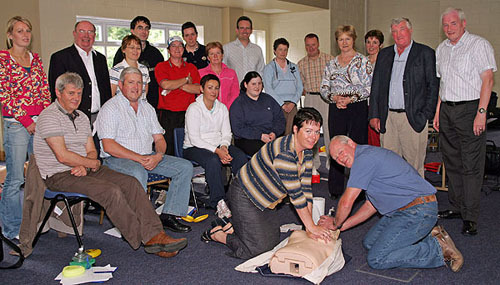 All those who participate in this training are also qualified to teach life saving first aid as well. Since this programme began x people have been trained throughout the county. 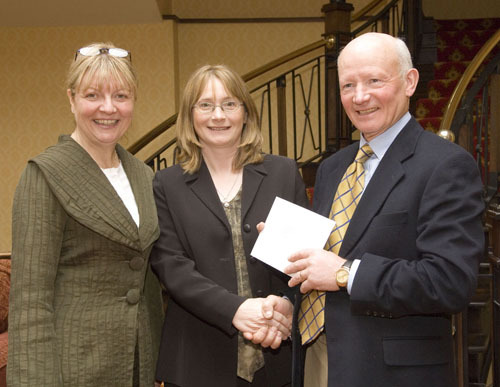 The level of enterprise activity amongst local communities has always been a feature of life in Co Monaghan. Our traditional industries such as furniture, poultry and mushrooms have all been based on innovation and creativity in the face of difficult trading conditions. The County Monaghan Fund encourages this tradition of innovation and creativity amongst the next generation through the County Enterprise Boards ‘Student Enterprise Programme’. The programme teaches young people the skills they need to be the business leaders of tomorrow. It teaches innovative and creative thinking as part of the programme. Since 2007 just under 1,000 transition year and leaving cert applied students have received classes in creativity and innovative thinking. It presents a County Monaghan Fund perpetual trophy for the most innovative product idea at the annual Student Enterprise Awards competition. The real value of this project will only be realised in years to come when the current generation of young people have moved beyond education and into the workforce. Access to a full education can have a huge impact on a persons’ life. But not everyone can afford to continue their education to 3rd level. 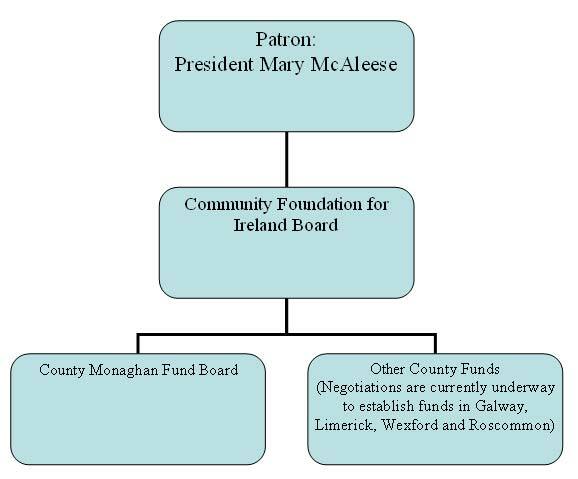 So the County Monaghan Fund supports the DCU Access to Education Programme. 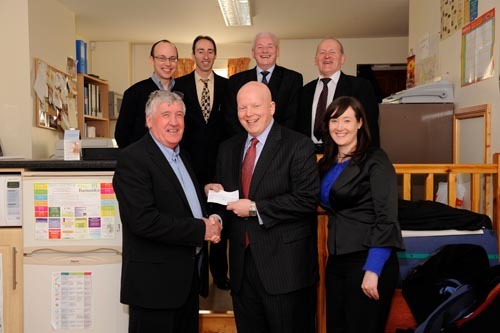 This project gives disadvantaged students from county Monaghan an opportunity to achieve a 3rd level education. 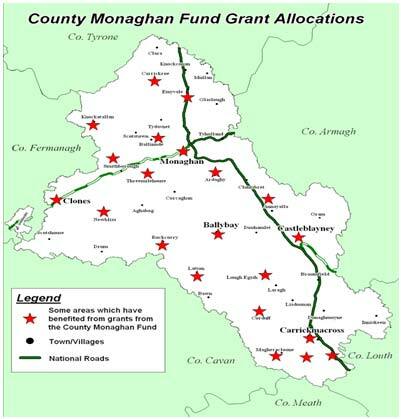 It also encourages them to put their learning to use for the benefit of Co Monaghan. 3 students are currently being supported by the Fund to complete their 3rd level studies.